Kennel cough is an upper respiratory infection that affects dogs and is often common when your dog has spent time at a boarding kennel. While usually not a serious condition, it can make your dog very uncomfortable unless treated. Kennel cough will often display by your pet constantly making hacking noises or sounding like they are choking on something. How does my dog contract Kennel Cough? 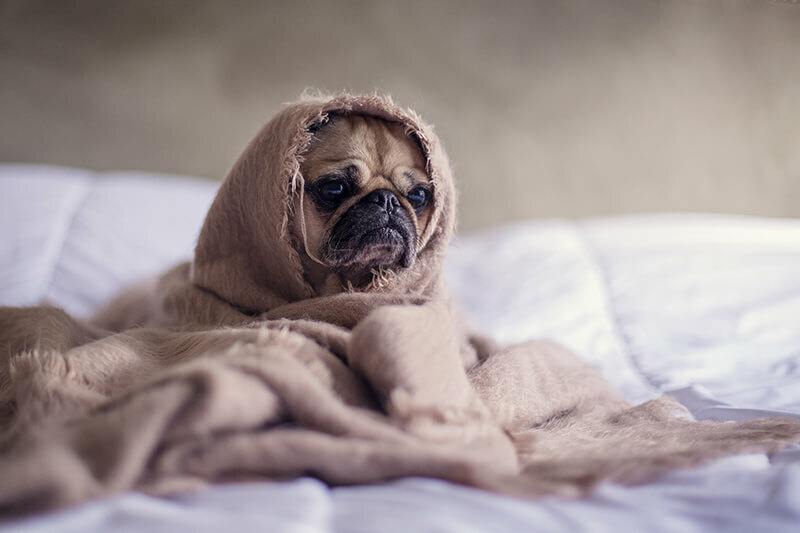 Unfortunately, if you’ve chosen a boarding kennel that doesn’t have good ventilation, is poorly equipped for cold weather or is overcrowded, your dog may have a high chance of contracting Kennel Cough. How do I prevent and treat Kennel Cough? Kennel Cough is very contagious, so if you believe your dog has Kennel Cough you should keep them away from other animals and contact your vet straight away. Your vet will be able to recommend and provide medication to help speed the recovery process and minimise the symptoms of Kennel Cough during the course of the infection. While Kennel Cough isn’t a serious infection it can make your dog extremely uncomfortable during the duration and may make them prone to contracting other, more serious infections. Make sure your dog is vaccinated and you choose the right boarding kennel for their stay, to reduce the chance they will suffer Kennel Cough. Kennel cough is an upper respiratory infection that affects dogs and is often common when your dog has spent time at a boarding kennel.